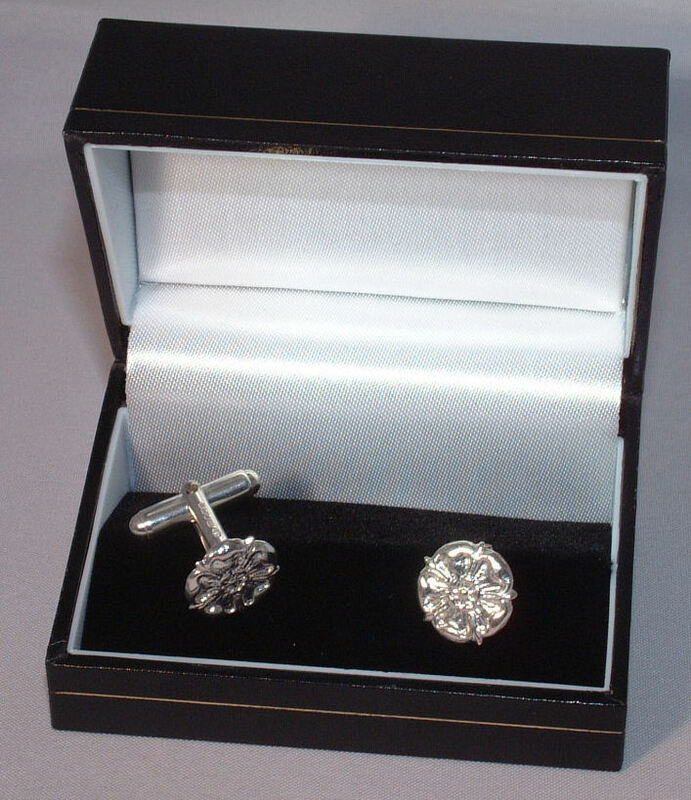 Sterling Silver Hallmarked Yorkshire Rose cufflinks, solid silver cufflinks with T bar cufflink fitting; The ideal gift or addition to your existing cufflink collection. Wear the Yorkshire Rose on each sleeve with our original design. 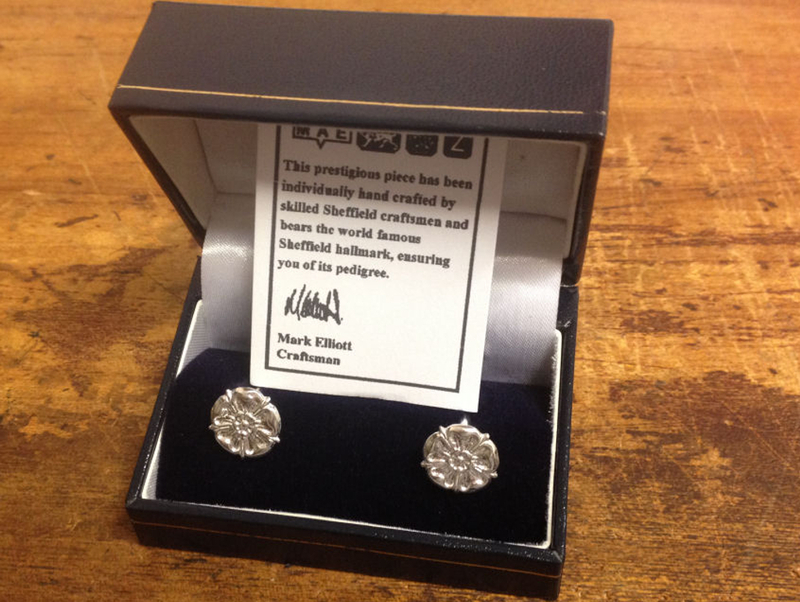 Hand crafted here in Sheffield. Free:Comes complete with black leather look presentation box.